By then, I was fed up of London and business journalism, so I headed off to Latin America. After a year in Argentina as a print only journo, I moved to Mexico to launch NewCorrespondent.com, an experiment in digital journalism, with help from Mike Butcher. The idea was to use free online tools – YouTube, WordPress, Twitter, Facebook, BlipTv and more – to publish multimedia journalistic content. NewCorrespondent.com became MexicoReporter.com and three months became three years. After my first six months of running the site in Mexico, I got taken on by the Mexico bureau of the Los Angeles Times, started shooting video and got trained in it by some of the best in the business (Scott Anger and Tim French). I contributed daily written and video dispatches to their Latin America blog, La Plaza, as well as latimes.com and the newspaper. MexicoReporter.com became a go-to for English-speakers living in Mexico, as well as people around the world, and it was through the site that I also got commissioned to produce video pieces for the Guardian and Al Jazeera, amongst others, as well as for radio comment on breaking news such as the swine flu epidemic, violence against journalists and escalating drug-related violence in the country. The video caught the attention of the FT, and as the Los Angeles Times took their foot of the video pedal, it seemed like a good moment to move. I am currently working as a video producer and journalist in the FT’s London office. I film, produce and edit video news, features and interviews for the Financial Times website, sometimes working as a one-man-band shooting operation, sometimes working with in-house camera operators and our correspondents around the UK and abroad. Where do you see your career/job developing in future? That all depends on how video journalism develops, but I am very excited about the potential of online journalism and video. TV and video are converging, which means new program formats and genres are emerging all the time, and everyone is experimenting with different styles of telling stories in video and multimedia. I am especially interested in how the costs of technology have come down so dramatically that we should see a new generation of visual and text storytellers base themselves abroad at a fraction of the cost, tapping into the need for reduced costs in foreign reporting that the traditional media so desperately needs to survive to keep that content strand going. Right now, if you’re a journalist that isn’t using new technologies to tell stories, you’re edging yourself out of the job market. 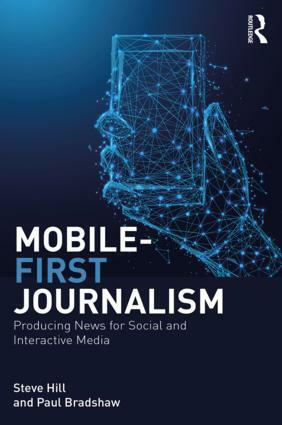 Rather than the end of journalism as we know it, I think multimedia signifies a brave new world where our old disciplines still count but can manifest themselves across so many different platforms and media that your work is as creative and innovative as you want it to be. 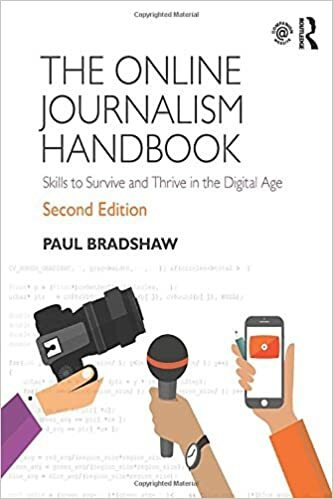 We just have to make sure we keep our eyes on the journalistic disciplines, and use technology as a means to an end rather than just for the sake of it. In the long-term, I see myself based out in the Spanish-speaking world as a multimedia foreign correspondent.